Letter to H.E. 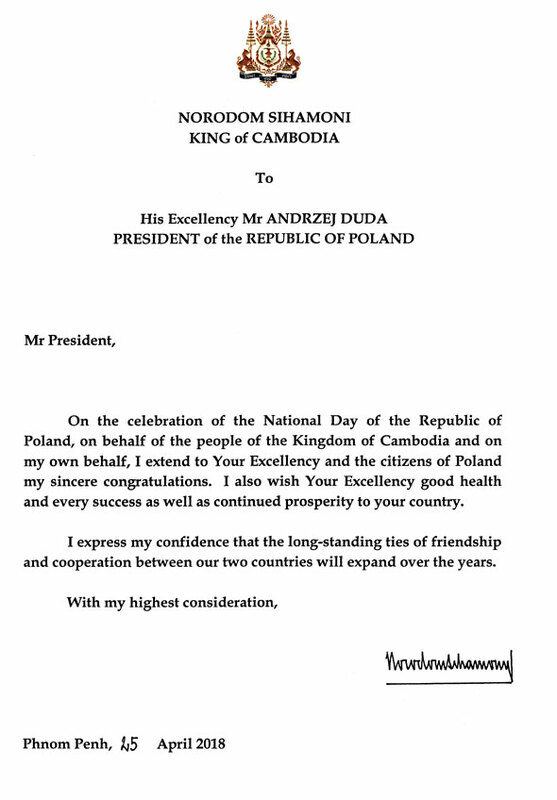 Mr ANDRZEJ DUDA, President of the Republic of Poland. Letter to H.E. Mr. MATAMELA CYRIL RAFMAPHOSA, President of the Republic of South Africa. Letter to H.E. Mr. FAURE ESSOZIMNA GNASSINGBE, President of the Togolese Republic . Letter to H.E. Mr. REUVEN RIVLIN, President of the State of Israel. Letter to H.E. Mr. JOHN MAGUFULI , President of the United Republic of Tanzania. Letter to H.E. Mr. MIGUEL MARIO DÍAZ-CANEL BERMÚDEZ , President of Council of State and of Ministers of the Republic of CUBA.